CYP AU-D150 review | What Hi-Fi? Looking through CYP’s catalogue, it’s easy to think that the company builds products primarily designed to serve a technical purpose, rather than sound great. 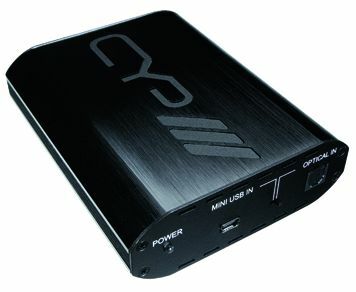 However, this is the second CYP DAC we’ve had in for review, and the second with serious sonic credentials. The AU-D150 has an optical input that can handle music files up to 24-bit and 192kHz and a USB that’s limited to 16-bit 44.1/48kHz, while on the output side you’ve got the expected RCAs and unexpected optical. So yes, it will convert USB to optical (useful if you’re putting PC audio into a home cinema amp). If you’re playing CD quality files there’s no huge difference between the optical and USB inputs. Both have impressive punch and attack married to pleasant fluidity and a cohesive soundstage, and that makes for an interesting, exciting delivery with just about any music. It’s not the most detailed DAC around, and there’s a slight lack of solidity behind the initial punch of each note, but it’s still tempting.